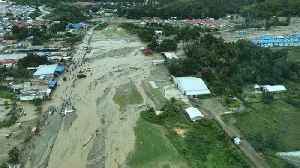 Flash floods in Indonesia's easternmost province of Papua have killed at least 50 people and badly injured dozens of others and damaged a small plane at the region's main airport, authorities said on Sunday. 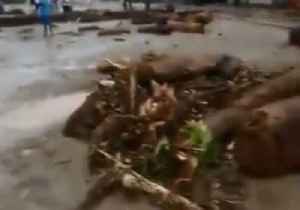 A video shows devastation in Jayapura Regency of Papua, Indonesia after flash floods struck the area on March 16, 2019. 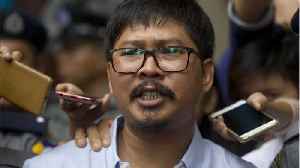 The Indonesian government was preparing for mass burials in mid-March following flash floods and landslides in Papua province that officials said killed at least 104 people. 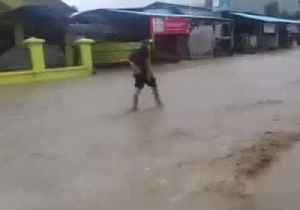 The country’s disaster..
Floodwater gushes down the streets of Sentani, in Indonesia’s Papua province, in this footage, captured over the course of two days, March 18 and 19. 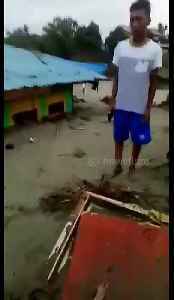 Officials announced on March 19 that severe..
Floodwater gushes down the streets of Sentani, in Indonesia’s Papua province, in this footage, captured over the course of two days, March 18 and 19.Officials announced on March 19 that severe.. 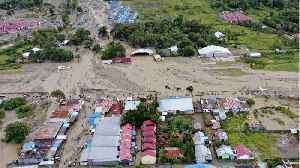 Residents witnessed their houses being partially buried in mud following deadly flash floods eastern Indonesia’s Papua province on Saturday (March 17). 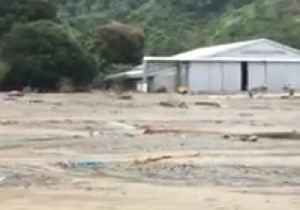 Days of heavy rain triggered the deadly floods and mudslides in the province of Papua. CNN reports At least 50 people have been killed in eastern Indonesia as a result of flash flooding and a landslide. 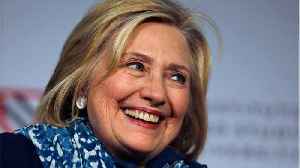 Nearly 60 people were also injured and sent to the hospital, . 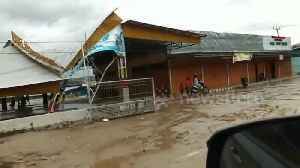 As of Sunday morning,..